The major purpose of BMC is to provide competitive performance opportunities in a warm and supportive environment for gifted young musicians. The Burlingame Music Club (BMC), was founded in 1930 by local music teachers, and is recognized as a music lover’s gem on the San Francisco Bay Area Peninsula. 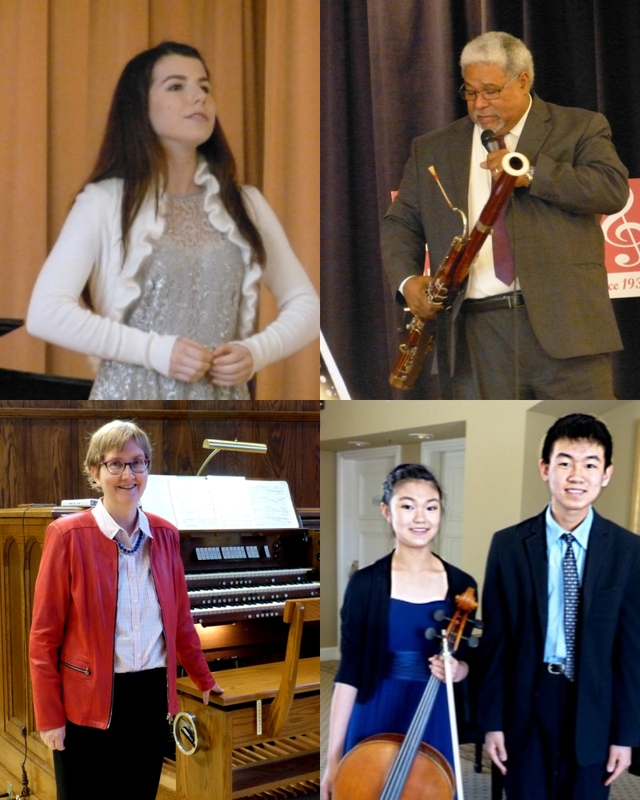 BMC monthly programs showcase performances by student musicians who are in competition for the BMC awards, and performances/demonstrations by guest artists who are typically professionals in their fields. In the Bay Area, we are fortunate to be able to tap into a highly diverse artistic community who expand our horizons and inspire us with performances often drawn from music from other parts of the world and representing a wide array of genres, styles and eras. Enjoy our student performers. Help us celebrate their achievements! Come join our monthly programs of rich performances by young musicians who ultimately compete to be the winners of BMC’s annual student musicians awards.